I’m not a film critic, nor am I the one to go out of my way to watch critically acclaimed films. However, tomorrow is the Oscars. Although I have only seen a few films nominated this year, two films, in particular, are egregious missteps in their representation of black people, both in their accuracy, but also with their oversimplification of race relations. In other words, they are perfect candidates to win Oscars. When BlacKkKlansman released last fall, I thought the premise for this film was genius. More than that, to find out it was a true story, this movie in my mind could not fail. I saw it and was floored. Everything seemed to mesh and fit so seamlessly. It appeared to be the best film I had seen all year. I wrote one of my longest articles for my school paper on the film, linked here. But to sum it up, almost all of the film was false, stretching the truth to lengths that did more than to just dramatize the story. Minor characters had false backgrounds and the core storyline of protagonist Ron Stallworth’s spying operation was not true either. The ease with which the characters acted as though they resolved all the racist tension was also ludicrous as well. What concerned me the most was that there are so many other incredible African American heroes that a film just as thrilling as this one could have been produced. I listed a few in the article, such as Ella Baker or W.E.B. DuBois, yet Spike Lee chose a cop who was part of a racist FBI COINTELPRO initiative to spy against his own people fighting for equality. In hindsight, I could accept this film a bit more knowing that other people have been fabricating their own people’s stories to make them appear more impressive to the general audience. Yet, there is no justification for why we should choose this story. My articlegoes more in-depth, but this movie disappointed me the most this past year for all those reasons. For anyone interested in the film, I strongly urge you to understand the premise before you go and watch, knowing what you’re about to watch is mostly not true, and then you might enjoy it a bit more. 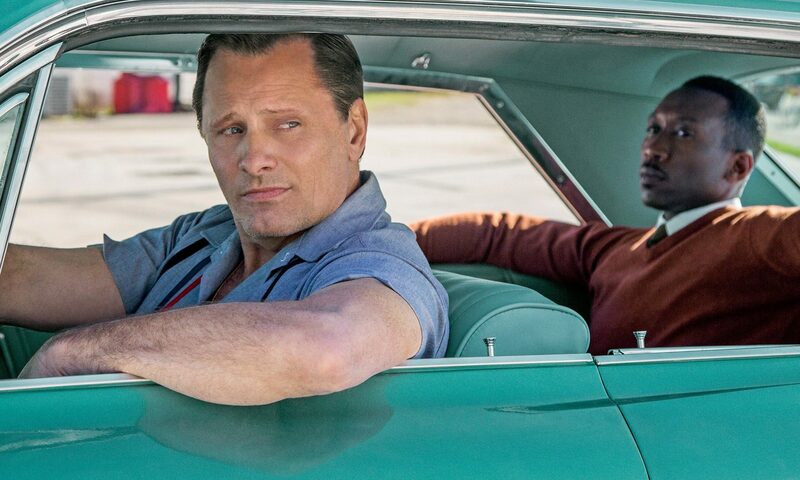 The worst overall film I’ve seen this past year is also up for the major categories tomorrow: Green Book. It’s a joke of a film that just like BlacKkKlansman fabricates the story of a black man to pronounce all racism can be solved. The premise of the film itself is ridiculous: a white man who drives around a black master pianist is the protagonist, not the genius. It attempts to paint this white man, Tony Vallelonga, as the one who now all of a sudden has a problem because he discovers racism exists when taking the job to drive around “Dr.” Don Shirley. Apart from this crazy basis for a film, the family of Vallelonga was the ones who pushed for the film and wrote the film, without seriously consulting the Shirley family for the inaccuracies it has. According to the Shirley family, the relationship between Tony and Don was nothing more than employer and employee. He also according to the Shirley family was close with his relatives and, spoiler alert did not have Tony introduce him to stereotypical black things like fried chicken, which the film depicts. By the end, although Mahershala Ali played a wonderful performance, the film is an egregious misrepresentation of the talent that Don was, that the white protagonist was the savior. The namesake for the film, the Green Book (documentary being made on it), which served as a guide to help black people from New York find places safe for them to stay across the nation, was not a focus in the film, but rather as a tool of amusement for Tony. Either way, nothing about this film could bring me to recommend you wasting over two hours of your day on this deplorable film because that’s what it is. I’m excited to get to watch Roma once I get back home, which I have no doubt will be thrilling, as well as getting to A Star is Born and The Favourite. A special shoutout goes to Black Panther, a film I wrote about when it came out last year. I really do wish Michael B. Jordan was nominated for Best Supporting Actor for his powerful performance as Erik Killmonger. Also, I’m nowhere near surprised that Kendrick Lamar and SZA, but it would have been special. The Oscars are an award show that sometimes fails to get awards right, even literally with 2017 and Moonlight. But I will be watching and am curious to see how this no-host ceremony situation works. But, for me, I’ll try to spend more time watching great films this year and be more informed so next year I can make good picks.